The 2012 Mid-America Sand Drag Series kicks off in just a few weeks at Atoka Motorsports Park in Atoka, OK with the Heartland Nationals. Preparations are being made for the four-race series with sponsorship dollars secured to pay both first and second places in each of the four categories contested. Trower Racing has taken care of the first place trophies for the series, click “Read More” to view photos of the trophies. For more information on the Mid-America Sand Drag Series, click on Mid-America Point Series on the left sidebar of NSDN. The Southern California Sand Drag Association (SCSDA) is hosting the 'Mayhem at Soboba' event on May 18-20 at the Soboba Casino in San Jacinto, CA. This event is the second of four scheduled for the Southern California venue this year. Click “Read More” to view the event flyer. Torco Race Fuels will have fuel available for the upcoming event at Avenal Sand Drags on April 28-29. All fuel must be pre-ordered. The deadline for ordering fuel is April 24. Robert & Christy Garnas will be on-site distributing the fuel. The downloadable Torco pre-order form is listed below. Torco's office be reached by phone at 480-288-9385. The Dirt 300 in Albuquerque, NM is holding their first ever large scale event with the Nitro Nationals coming up on June 22-24. Charlie and the crew at the Dirt 300 have worked hard to secure a stellar payout for the Top Fuel, Top Alcohol, and Top Eliminator racers as well as the bracket classes. Their track is located conveniently right off of I-25 at the Albuquerque Dragway. For more info, contact Charlie at 505-400-0611 or visit www.thedirt300.com. Click “Read More” to view the event flyers. The 2012 sand drag racing season is definitely in full swing as we head through the middle part of April. West coast action continues to build up with two more races before the Summer hiatus. 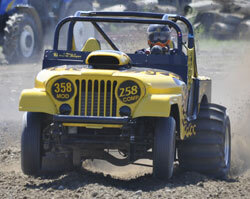 NSDN will be on-site for the Avenal Sand Drags event April 28-29. The long-range weather forecast is showing possible record setting conditions at the Central California track. Avenal always produces big numbers, even in warm conditions, so this event could be a real treat. The SCSDA is readying for their second race of 2012 on May 18-20 at the Soboba Casino after a successful start to their season at the beginning of April. These should be some stellar upcoming events. The Southern California Sand Drag Association kicked off their 2012 season with the “April Fuels” event on the first weekend of April at the Soboba Casino in San Jacinto, CA. This also served as Race 2 of the 2012 NSRA point series. Racing in front of a great Southern California crowd was a big motivator as racers strived to take home the hardware at the end of the weekend. An improved racing surface yielded some great numbers throughout the weekend. Let’s look at the weekend’s action. Atoka Motorsports Park held their April event over the weekend and dodged rain as well as storms in the region to put on a great event. Tim Feuerhelm took the Pro 1 win with his Motorcycle-powered Dragster over Brent Durant’s Jeep. David Collins continued his winning ways in the Pro 2 class with his V8-powered Dragster, winning the Money class at back-to-back races as well as sweeping both classes on this particular evening. Stephanie Kimbley put her mark on the Pro 1 Quads class by also sweeping both classes at this even. Robert and Danny Smith from Tushka, OK brought out their Top Eliminator Dragster to test for the upcoming Heartland Nationals and ran a best of 2.98 @ 106MPH. The next point series race at Atoka will be on May 12. Read on for full results. The 2012 NSRA Quality Aircraft Care Sand Times Drag Racing Series moved on to the Soboba Casino on April 1 for the second race of the 2012 point series. As always, the racing action was great as everyone was fighting for the early season point lead. Next up on the schedule for the series is a stop at Avenal Sand Drags in Avenal, CA on April 28-29. Just a note on this event, the Junior categories run on both Saturday and Sunday, so Sunday will be the points race for the Junior Dragster class. Hope to see everyone at Avenal. Click the link below to view the current points & info regarding the 2012 NSRA point series. 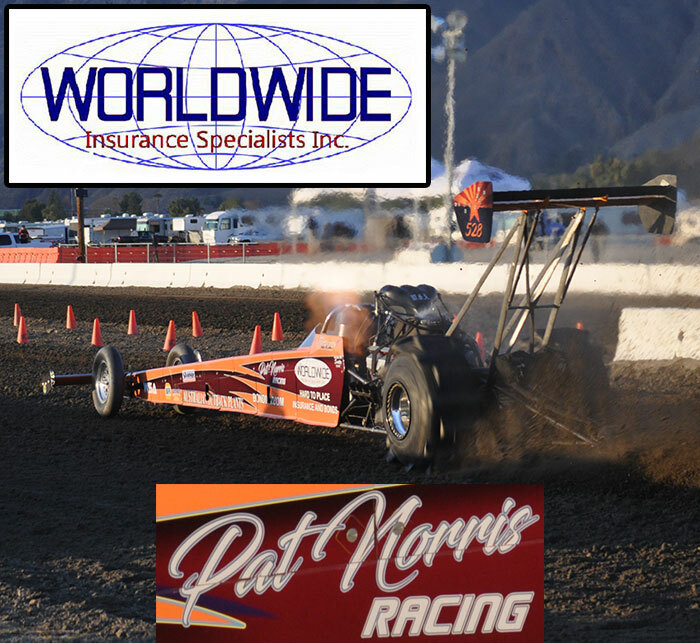 The 2012 edition of the April Fuels event at the Soboba Casino in San Jacinto, CA marked the start of the second season of racing for the Southern California Sand Drag Association. As always, the SCSDA did a great job of providing a great venue and stellar race program for the racers as well as fans to enjoy. Let’s take a look at some of the top performers and stories from this race weekend.